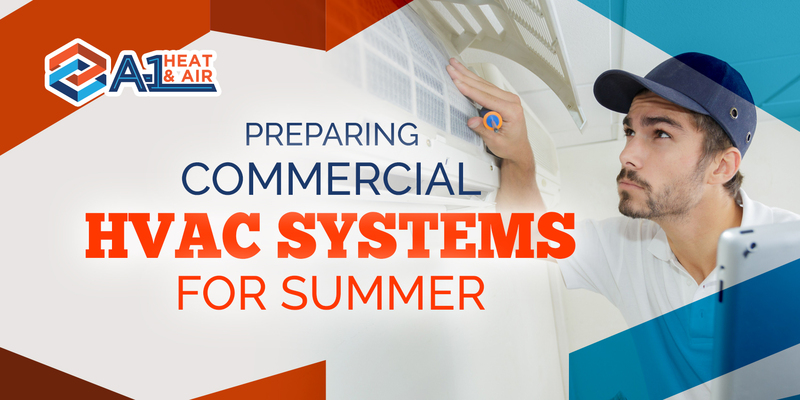 Here comes another season to check on your commercial HVAC system. Summer can make your people and customers bathe in sweat because of too much heat. But, you can stop this scenario from happening if you prepare the system early this month. Learn some expert ways to get your office system ready for the heat! One of the essential components of your commercial heating and cooling system is the air filter. Once it gets caught up in excessive dirt and dust, the entire building can become a living hell. You can stop this from happening by getting your air filters cleaned or replaced as early as now. Clean them regularly to prevent dirt buildup that may result in greater problems later. Has it been a while since you had your HVAC system serviced? Before the weather warms up this summer, make sure to give your system a tune-up. Doing this helps you get the most of the comfort you expect from your system. Tuning up your HVAC system enhances its overall performance and keeps you in check for serious repairs ahead of time. You want to make sure that everyone in the building breathes in safe and healthy air. One way to secure a safe indoor air is to clean your ductwork. Much of the dirt that passes through your ducts can hardly be seen especially those in the ceilings and walls. So, get a full cleaning service performed by professionals to clean your ducts. If you notice anything wrong with the system, check on the thermostat. See if it is working well. You know when the thermostat is in good condition if it evenly distributes the temperature inside the building. Most importantly, do not forget to give time for maintenance service. Maintaining your system is not a DIY fix so, it is best to contact your HVAC contractor for this. They can keep your system in top shape throughout the year especially this summer season. Your commercial HVAC system deserves a maintenance check all year-round. This summer, get your system ready for the scorching heat. A-1 Heat and Air Conditioning can help you prepare your system these warm months. If you have any questions regarding your commercial HVAC systems, give us a call at 407-406-7161. Our customer service team is available 7 days a week to provide answers to all your concerns. Call us now!